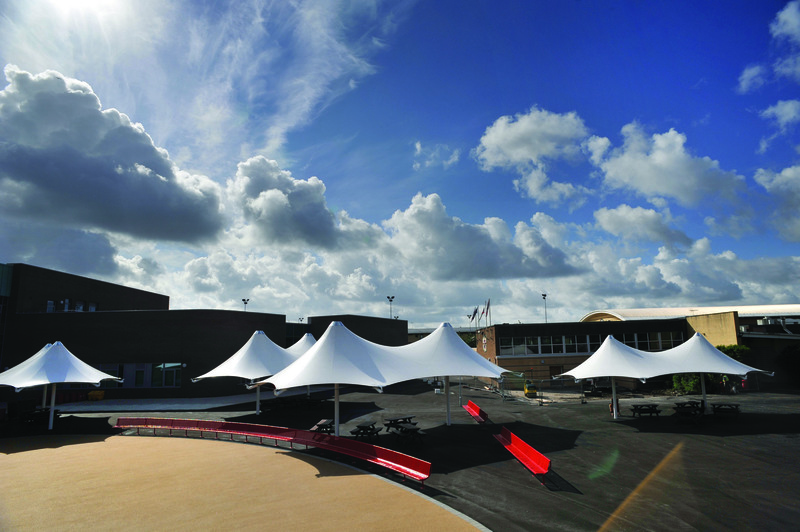 Trinity Church of England High School has undergone a £17 million rebuild and refurbishment programme as part of the Building Schools for the Future and Academies Programme. 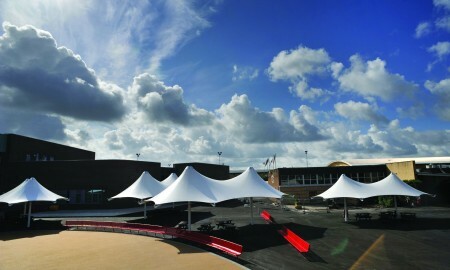 A new central, social hub was created at the heart of the school with five tensile fabric structures providing the backdrop. 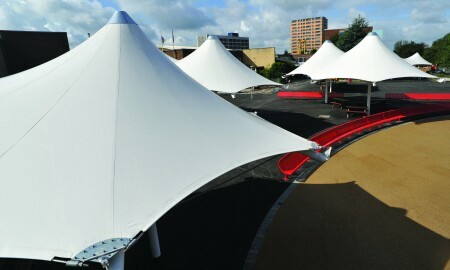 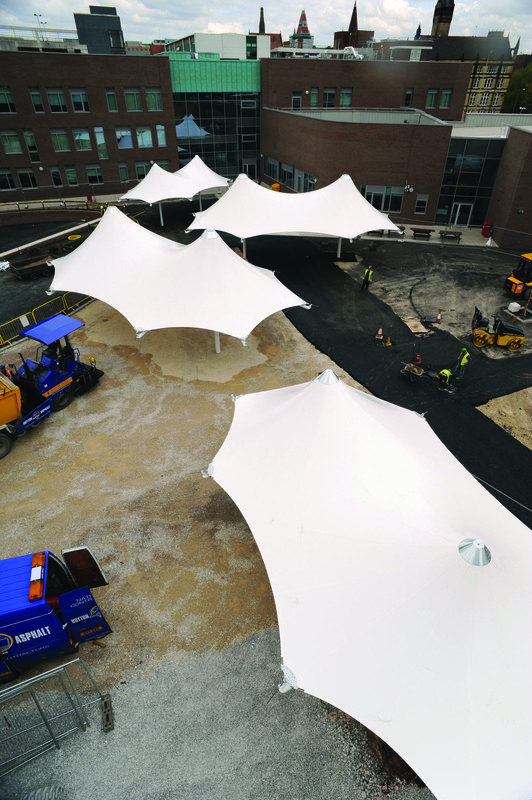 The bespoke conical structures, of varying sizes, were installed over various stages and successfully completed on time and to budget by the specialist Keep it Kool tensile fabric installers. 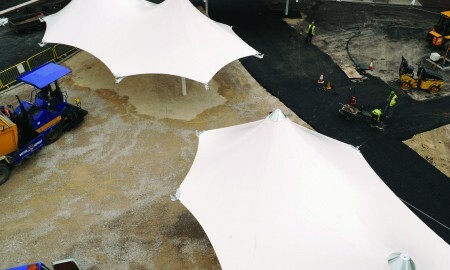 The white membranes allow for a good level of natural light transmission, whilst deflecting harmful UV rays and creating a cool dry space for pupils to pass between buildings. 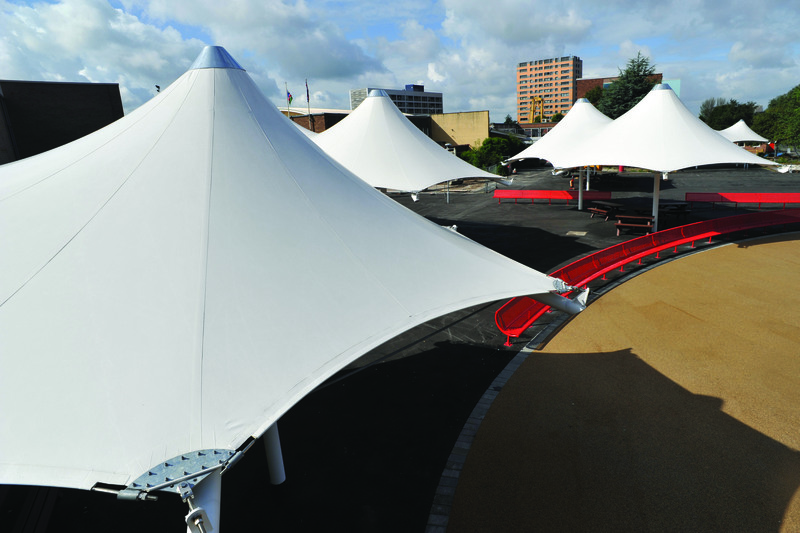 Broxap also supplied various standard items of street furniture to complete the single sourcing supplier option to the main contractor.